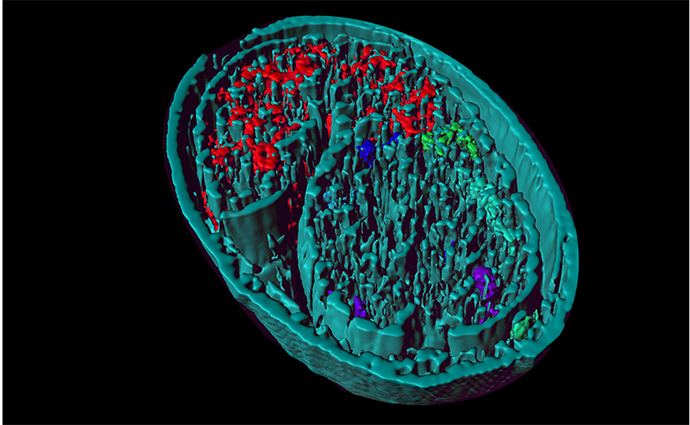 3D reconstruction of the cross-sectional view of Caenorhabditis elegans embryo showing EGL-20/WNT distribution (red, blue, green, purple). Monash researchers have discovered a mechanism regulating a crucial protein that controls cell behaviour. Importantly, the scientists, led by Associate Professor Roger Pocock from the Monash Biomedicine Discovery Institute, have shown that a preexisting drug can be used to regulate the behaviour of cells. WNT is a protein that controls communication between cells. It is important because it effectively “tells” the cell how it should behave – whether that cell should migrate, or proliferate to populate a bone, for instance. It does this by folding in a particular way inside the cell, exiting the cell and then communicating to other cells to control their behaviour. However, when WNT becomes dysregulated or mutated, this message for the cell to migrate or proliferate can get out of control, causing diseases including cancer. 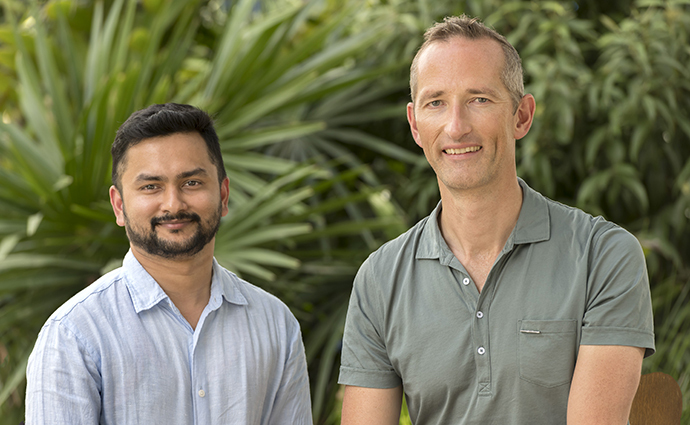 Associate Professor Pocock and his team have studied a protein called PDI-1, which they found is responsible for controlling the exit of WNT from cells. They studied these proteins in the Caenorhabditis elegans worm,which is a favourite tool of scientists because many of the genes in the C. elegans genome have functional counterparts in humans. This makes it an extremely useful model for studying human disease. The data, published today in Cell Reports, reveals the previously unknown relationship between PDI-1 and WNT. According to Associate Professor Pocock, the discovery is important because there is already a drug on the market that targets PDI-1. In the lab, the researchers treated human cells with the anti-PDI-1 drug and found that WNT exit from cells was diminished. Associate Professor Pocock said that – with WNT being so closely associated with cancer and over-proliferation of cells – this discovery opens the way to target the PDI-1 protein as a way to potentially control cancer progression. “While the presence of WNT in many cells (including healthy ones) potentially precludes the use of the anti-PDI-1 drug in the prevention or treatment of cancer, it may be possible to use this drug in a highly targeted way that only accesses the cancerous cells,” he said. Read the full paper in Cell Reports titled A Protein Disulfide Isomerase Controls Neuronal Migration Through Regulation of WNT Secretion.